laying on the beach or taking a swim in the pool of the hotel; during a sunny holiday a refreshing afternoon is a must among most of the tourists. you could say nothing beats watching the sunset over cocktails on a pool terrace and take a dip to cool of your body. every year hotels are investing more to make their swimming pools more exclusive, but there is a lot more behind the beauty of knockout design, superb service and mattresses fit for a maharajah. it depends on the traveller where the body seeks to, but for the ones who never heard of the beauty of natural swimming pools, have a look at the following. sometimes, mother nature does it best. scenic pools and swimming holes around the world are as natural as they are beautiful. most of the natural swimming pools have a surrounding you have never seen before while lying in the water. you can decide for yourself but here are a few recommendable pools in spain. 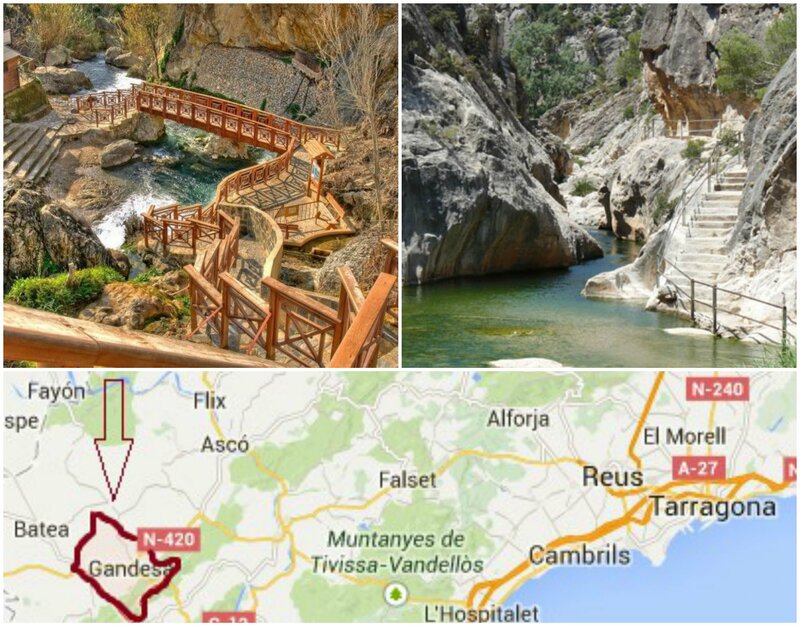 the pools of gandesa are one of the oldest secrets of catalonia. 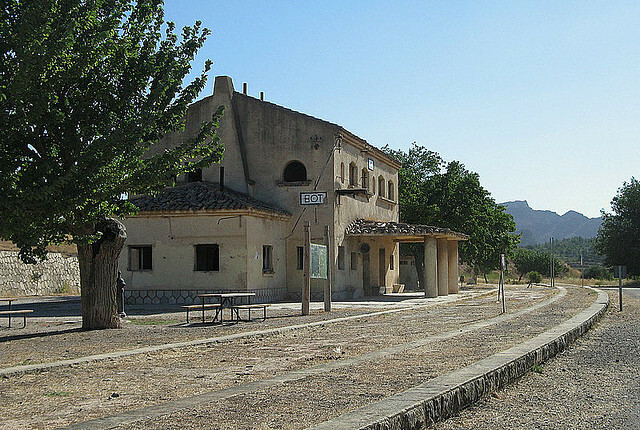 located between the mountains of sierra pándols and sierra cavalls, the thermal pools of gandesa are one of the most visited thermal centres in the mid nineteenth century. the name comes from the warm water hot spring located in the canaletes river, just where the river narrows from a canyon. 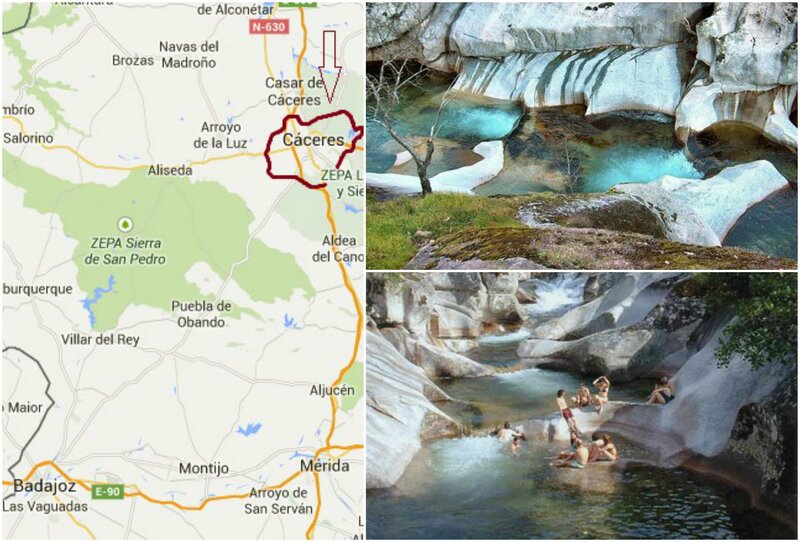 you will find a serie of natural pools that look like carved into the rock with a natural hot spring water. 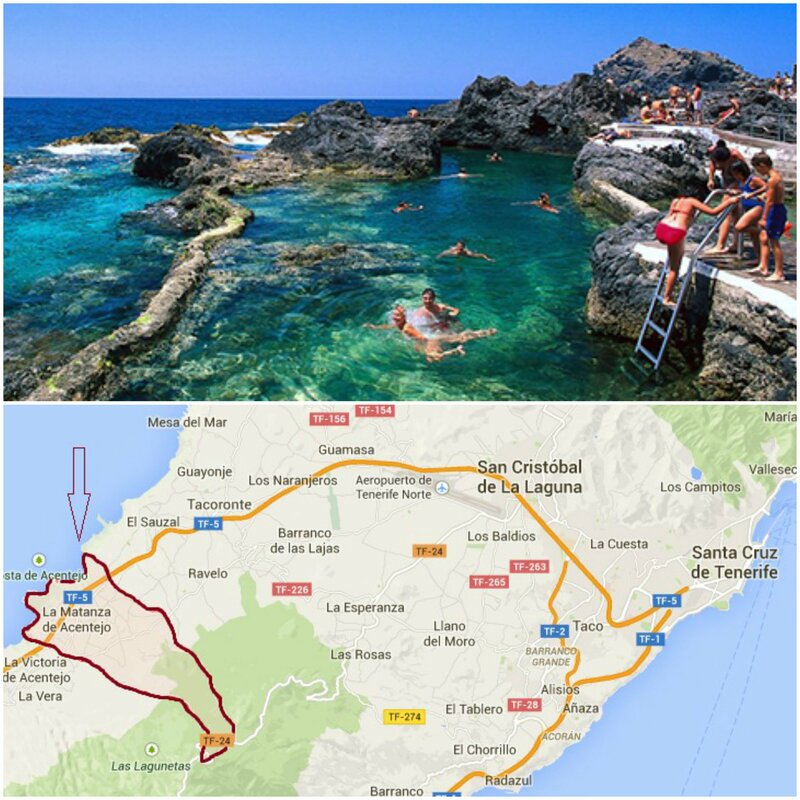 it is hidden within a small valley and making it perfect when looking for good ‘days out’ from barcelona. unfortunately, the beach in madrid is just too far away for a weekend, but is very easy to head to the sierra for a few days or even a day trip. the natural swimming pools contains three natural pools which are filled with water from the lozoya river. free and open to the public, this is an excellent place to spend the day and escape the hustle and bustle and excessive summer heat in the capital. the pools are surrounded by green grass and trees and have stunning view of the sierra´s highest peak: pico peñalara. the facility is open from 9am to 10pm daily in the summer, remaining so up through late september, depending on the weather. you can reach it by bus or private car. the pools are located in a very nice area, in a pine forest, which is a perfect place to enjoy nature. the district of la matanza de acentejo, in the north of tenerife, has a number of natural swimming pools. these pools come in all shapes and sizes and were formed by molten lave coming into contact with the water following the eruption of the trevejo volcano in 1706. it offers a refreshing dip in unusual surroundings, but keep an eye on the sea conditions as sometimes there are some fairly big waves. natural swimming pools are like balm for the soul and families benefit from the numerous swimming complexes and beaches in tenerife. this so-called hell´s throat is another refreshing option available for those are not located next to the beach. a breath-taking walking path leads into natural cushioned by grazed boulders carefully shaped by thousands of years or erosion. this area includes deciduous forests, riverside woods, alpine grasslands and brushwood groves. you can explore its many trails on foot, by bike or even horseback and discover some of this nature reserve´s idyllic beauty spots. this area is a paradise for lovers of outdoor activities: routes for off-road vehicles, guides tours, photographic trips and bird watching. the water in this natural swimming pool enters gently trough an underwater cave creating a pool where the transparent waters turn blue due the light ground. this wonderful swimming pool consists of two beautiful natural swimming pools with clear turquoise waters, one of the two swimming pools is located in a cave and the other one under the open sky. 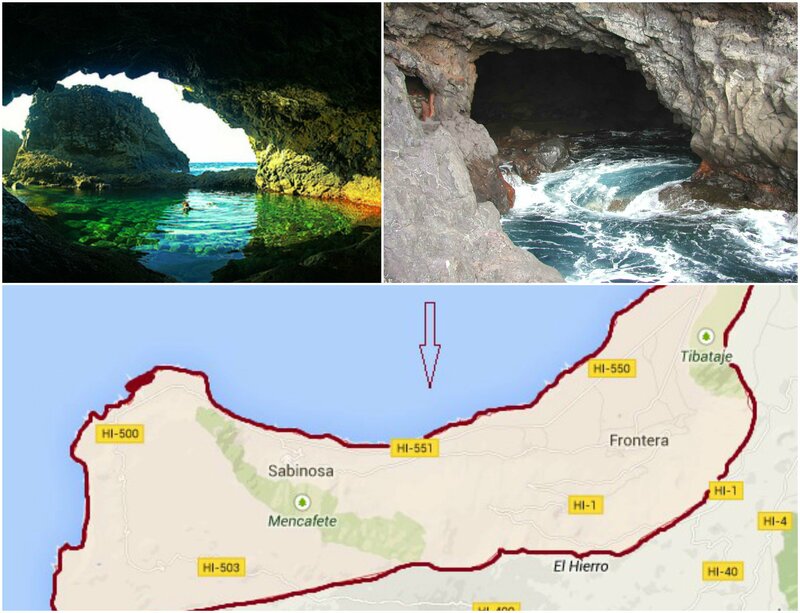 the area is located in el hierro and can only be reached by a staircase along the cliff. the descent takes about 20 minutes. this little adventure is not dangerous and it is definitely worth it. one of the many perks of living in spain are the endless options for eating out and enjoying the spanish food. fresh seafood, tasty wines, delicious cured meats and of course the world famous tapas are among the options one has when opting for a taste of the real spanish food. this time we will give you some tips to find the nicest tapas bars in sevilla and to discover its best food markets. first of all, one should know that people from sevilla love to be outside on the streets and meet their friends, family or just walk around town watching people and enjoy some sun. even at night the streets are very lively and for many people being out of the house means socializing over dinner or enjoying a nice wine out on the many terraces in town. all streets are buzzing with a mix of young people ready to go out, families having dinner together or tourist trying to find the best place to enjoy some real spanish food. 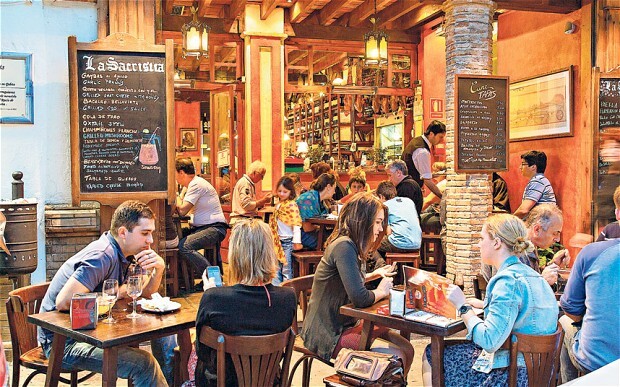 the latter is the perfect reason to inform you on all the great food places that sevilla has to offer. los coloniales – this place serve big portions at a very low price. all tapas dishes they offer are huge and of a very good quality. make sure to come early and expect to wait a little since this place is very popular. most dishes (raciones) and tapas cost around 2,50€. address: plaza cristo de burgos, 19 and calle fernández y garcía, 36 y 38. the restaurant is open for lunch and dinner daily. bar alfalfa – this nice and charming place is situated in a building between two streets. it offers simple yet delicious tapas dishes and is a very popular spot among both locals and tourists. the bar is located on a lively plaza which truly reflects the ambiance of the bar. address: calle candilejo, 1. open all day. duo tapas – is a place missed by many people and less touristy than many other bars. this restaurant is located on the charming alameda de hércules square and offers ‘new school’ kind of tapas, an inventive alternative to el rinconcillo’s ‘old school’ ones. most tapas have an asian twist which makes this venue a good options for those looking for something different. we recommended to order the green chicken with rice and spicy noodles. address: calle calatrava 10. open all day. 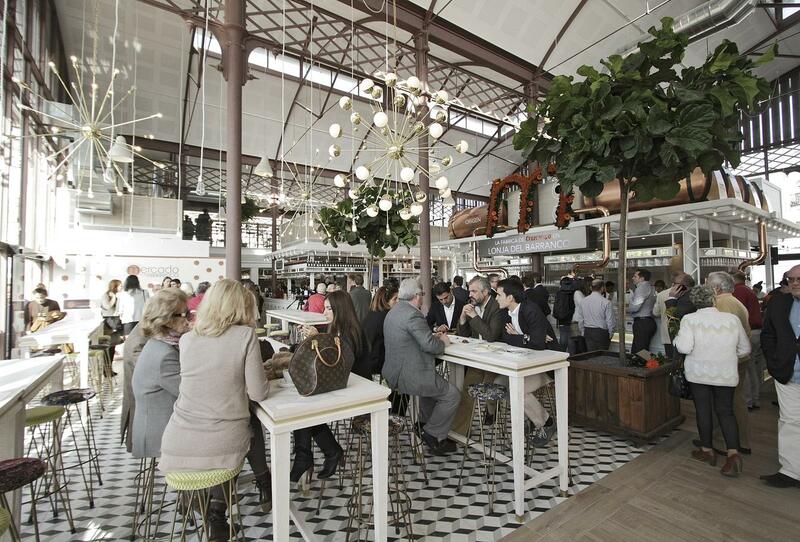 mercado lonja del barranco – is a venue that opened recently and has yet proven to be a successful formula appealing to many foodies from sevilla. this market is housed in an old building that served as a fish market 40 years ago, now it looks more like an open loft space with loads of glass and light coming from outside. the market features many stands that all offer goodies that come from the surrounding region, meaning a stand that sells acorn-fed ham, one specialized in salmorejo or one that focuses on the creation of the perfect spanish omelette. of course all of these delicious foods can be washed down with a cocktail or a glass of wine or beer as there are some bars available as well. address: calle arjona s/n. open from 10am all day. 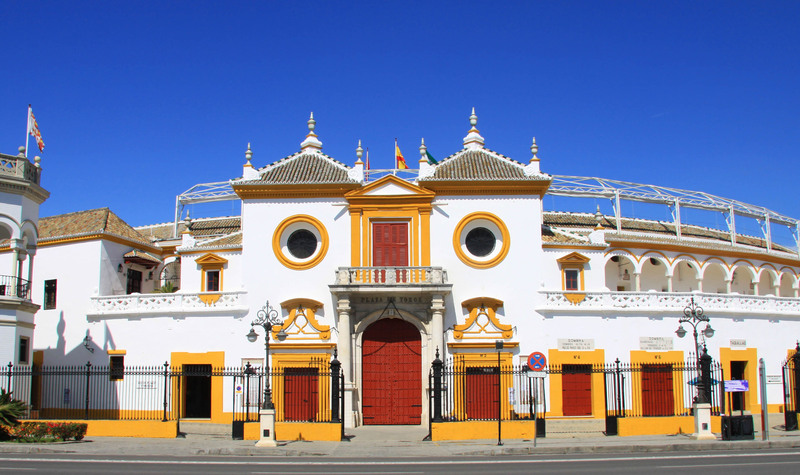 mercado de la calle feria – is one of sevilla´s oldest markets which is specialized in fresh fish. you can find some small bars around the market where you can enjoy a beer and a small tapa. one of the nicest ones is la cantina, which is popular among locals. address: calle feria. open monday – saturday from 8am to 2:30pm. mercado de la encarnación – this market can easily be found as it is located right under the famous metropol parasol. this market is also quite new (it opened in 2012) and offer plenty of options for grocery shopping and basis tapas. moreover, the place serves as a cultural centre which makes a trip here a nice options for those willing to combine good food with some spanish culture. this area offers nice bars and restaurants so after visiting the market foodies can continue the food trail in the close neighbourhood! plaza de la encarnación, s/n. open all day. serrano ham. serrano ham is regional delicacy. the andalusian highlands have low humidity and cold winters ideal for curing this famous spanish meat. you can eat this ham as it is or combined with tapas, cheese or melon. manzanilla olives. seville is famous for its manzanilla olives. this greenish-brown olive grows in the region’s fertile soil and warm climate. locals enjoy these olives with tapas or in salads and numerous other dishes. gazpacho. this is one of the best-known foods in andalusia. gazpacho is a cold tomato soup with bread crumbs, garlic, olive oil, raw cucumbers and peppers. the people of andalusia often serve this refreshing dish in the spring and summer as a lunch starter before the main entree. as many know, andalusia embodies the classic image of spain, from the flamenco dancing and bullfighting to the intense nightlife and ancient architecture. but as shown above, andalusia also boasts many delicious foods, offering travellers a chance to try out all the best this region has to offer. when you are staying in seville we would recommend you to visit one of the places above and enjoy some good food spanish style! 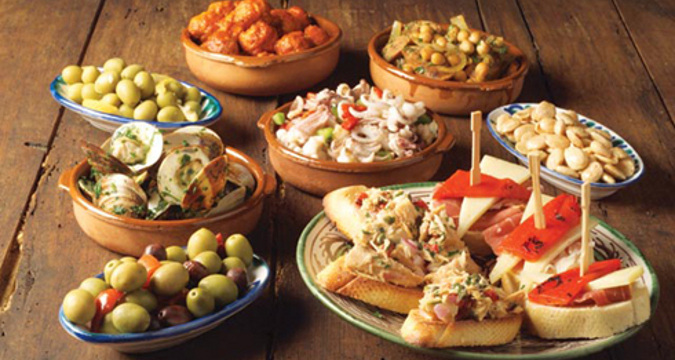 we think that a stay in andalucía is not complete without a tapas and food market tour. for more recommendations or places to visit please contact us, we would be happy to give you more advice. 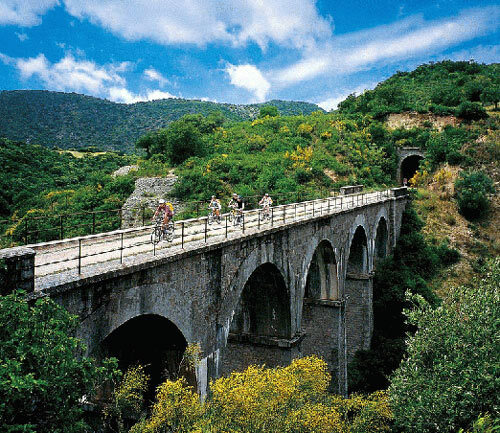 a rather unknown yet very refreshing way to get to know the natural beauty of spain is touring the ´vias verdes´. for many people this may sound new but the spanish government has been working on this initiative for some years now. the vias verdes, literally the ´green ways´ are old railways that are currently not in use as such anymore. they were restored by the government in order to serve as cycling lanes and hiking paths for nature lovers and people who like outdoor sports. 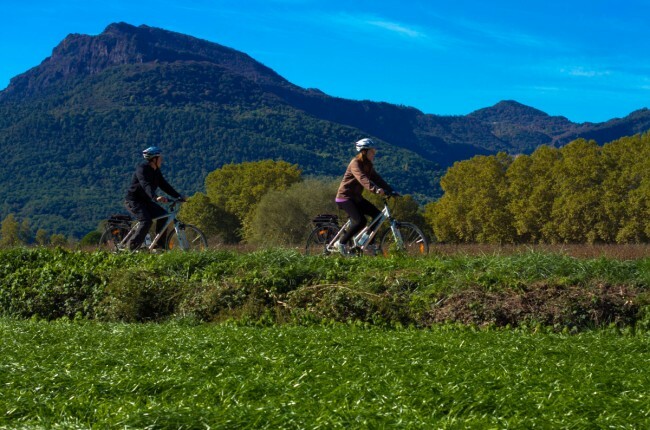 touring these ´vias´ is a different and very fun way to explore the spanish nature while at the same time being a very budget and eco-friendly one. since these paths are a great promotion of outdoor activities, they literally bring a breath of fresh air for people of all ages. it is therefore, no surprise that their popularity in spain is increasing every year. now is the perfect time to indulge yourself into the cycling life and to get your sport shoes ready, let´s go! a little note on the history of the via verdes; after trains stopped running along these tracks, they fell into despair. however, today the old railways have been restored and rearranged into proper bike lanes and trails for walkers. 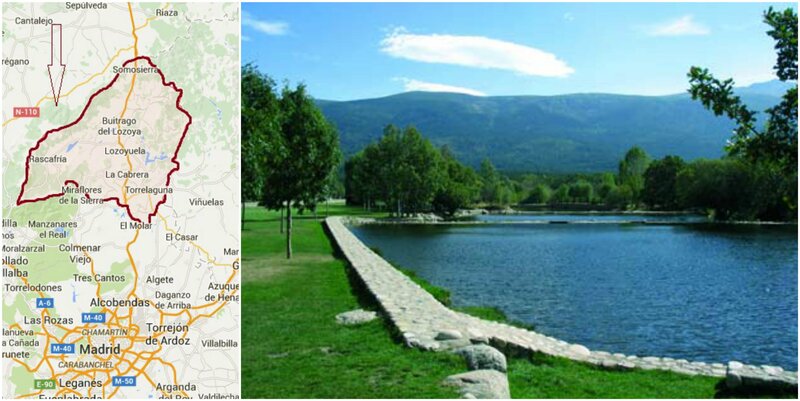 In total there are currently 1900 kilometres of ´vias verdes´ and they can be found all over spain. all tracks can easily be reached and they is a range of difficulty in them so that there is a path for everybody, from young kids and their parents to senior citizens or people with reduced mobility. the beauty of the spanish nature can be enjoyed to the fullest on the ´vias verdes´ since there is no outer-disturbance due to the fact that all motor vehicles are forbidden so there is no traffic noise. 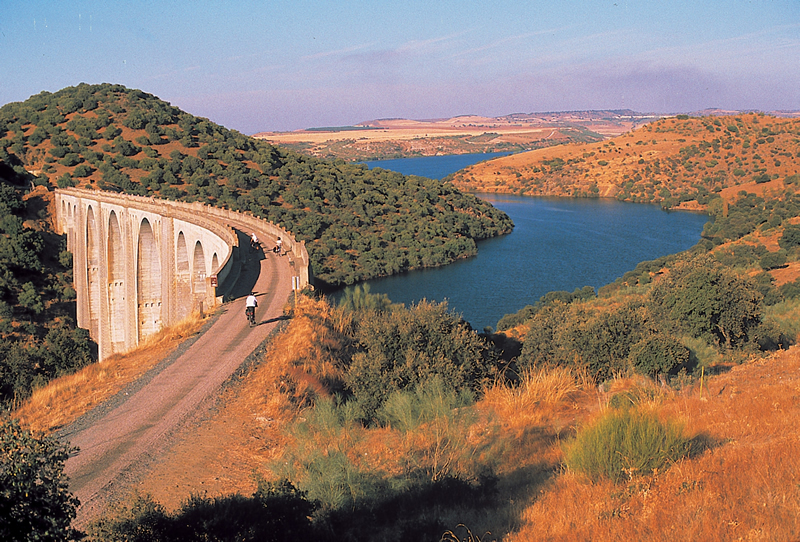 a track along a ´via´ will lead you to charming villages, over beautiful bridges and through dark (former) train tunnels. the gorgeous scenery is very unique and shows you the beautiful forests, olive yards and rivers and even beaches. along the way you will find areas to rest and enjoy the views while you can have some lunch or a snack at one of the many picnic areas. information about the routes, the towns or the nature can be received at the restored train stations that now serve as information points. bellow we will present some ´vias verdes´ which we recommend to our clients and think are worth a trip. first of all, we would say that the ´via de la jara´ is a beautiful track that one has to check out. this path will take you over the aqueducts and train tunnels in toledo and offers stunning views on the rivers and valleys. 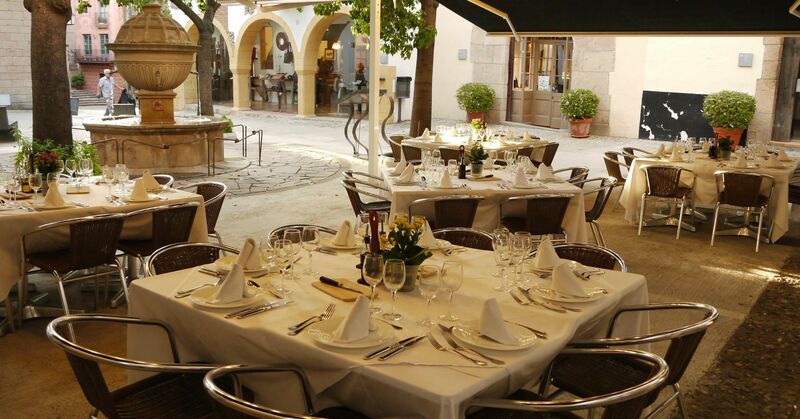 In catalunya the via verde ´sant feliu de guíxols´, located close to girona, is one of our recommendations. 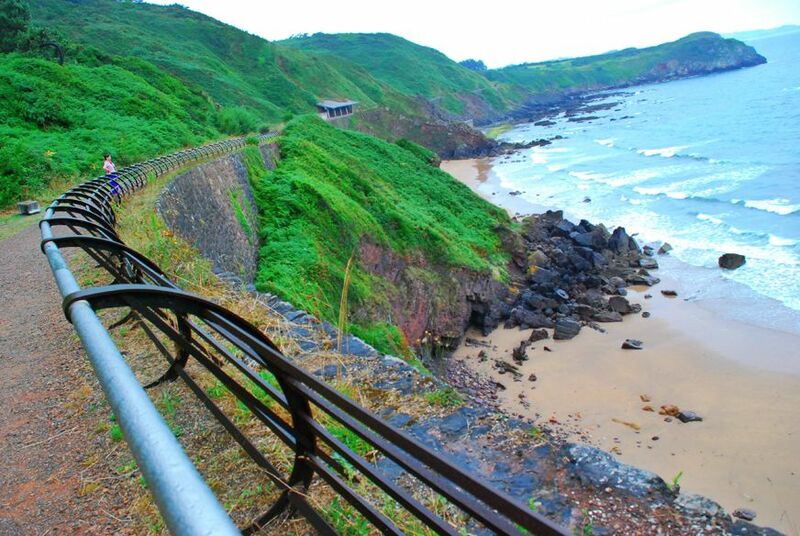 this route is 39 km long and leads cyclists through tunnels, forests and even brings them to the beautiful seafront. the route is perfect since it shows us the variety of the catalan countryside and provides for an interesting and challenging one-way track. the last recommendation from our side is to go and explore the beautiful ´torrevieja greenway´, which could also easily be reffered to as the ´salt flats greenway´. this route is based on the old albatera-torrevieja railway line and combines an urban section and a beach one at acequión. 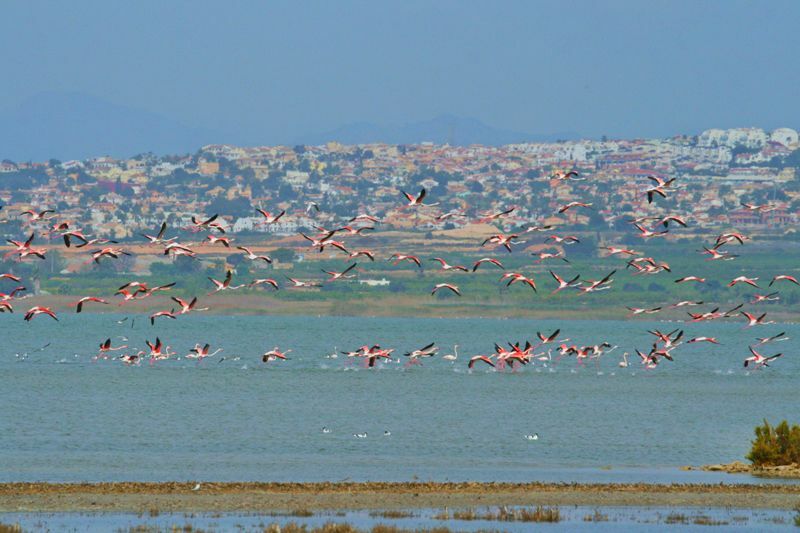 the trail leads cycslists around the local salt lakes where flamingos can be spotted if you are lucky. please contact us for more information on the routes, hotels or other recommendations for the ´vias verdes´ for all regions! 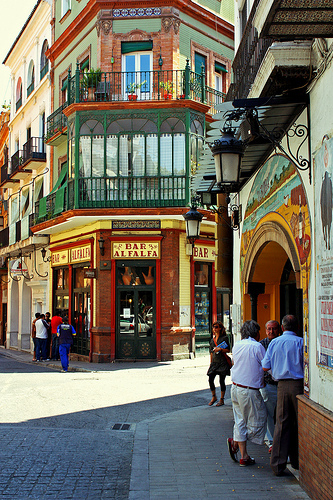 is there a spot where you can enjoy the wide variety of spanish architecture all in one place? the answer is yes, at the poble espanyol in barcelona. this emblematic village houses 117 buildings reflecting the typical spanish architecture coming from all fifteen autonomous communities in spain. this special town was built in 1929 by the modernist architect puig I cadafalch for that year´s Barcelona international exposition (as was the national palace of montjuïc that was mentioned in one of our earlier posts). the poble is located close to the fontana magica on the montjuïc mountain. 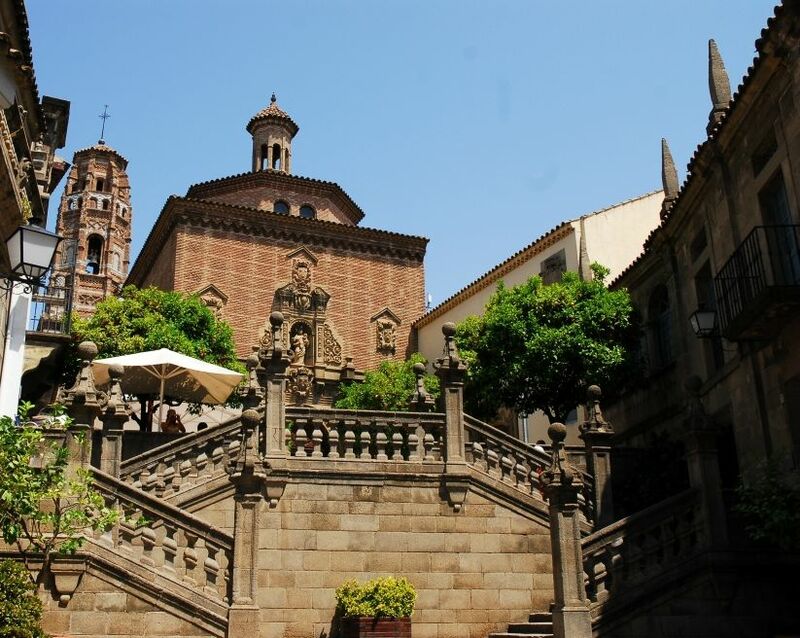 hearing a conversation that goes like ´´pardon me but how do I get to andalucia?´´ and ´´that is easy, you just go to mallorca and that it is the first street on the left!´´ is not unusual when visiting el poble espanyol. entertainment is key in the 5th most popular tourist attraction in barcelona because there is something to do for everybody. lovers of modern art & nature can enjoy the fundación fran daurel, which is a permanent collection of over 300 artefacts from spain´s most famous artists among which picasso, dalí, miró and barceló. moreover, visitors can see the famous sculpture Entorn-Contorn from josep guinovart and the beautiful sculptural gardens that offer stunning views over barcelona. this green oasis on the high up the hill is large enough (5000m2) to spend a whole afternoon strolling around and enjoying nature. 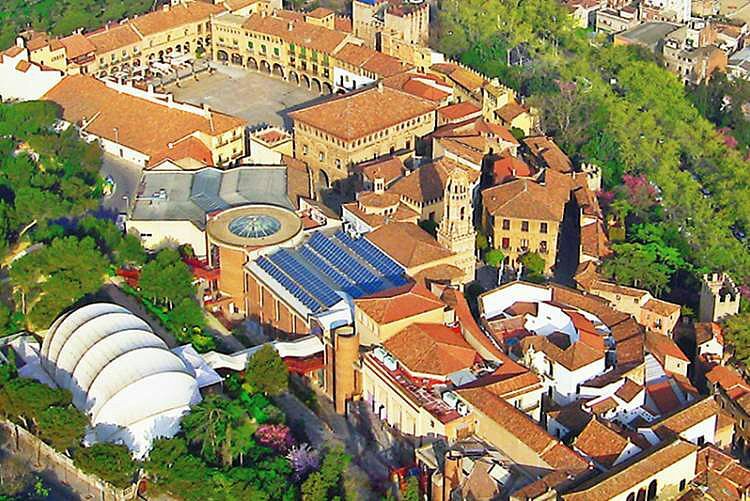 shopping & craft lovers can enjoy themselves in el poble espanyol as well since there are 22 shops that are open every day, some of them offer workshops while others sell ceramics, paintings or jewellery. other activities include, music instrument building, espadrille making and glass crafts. consequently, you can spend a whole day strolling around the village visiting all the different shops and trying out different typical spanish activities. families can spend the day doing a treasure hunt, which is available in english, spanish, french and catalan. this activity is perfect for kids that are between 3 and 12 who are in for a little game. 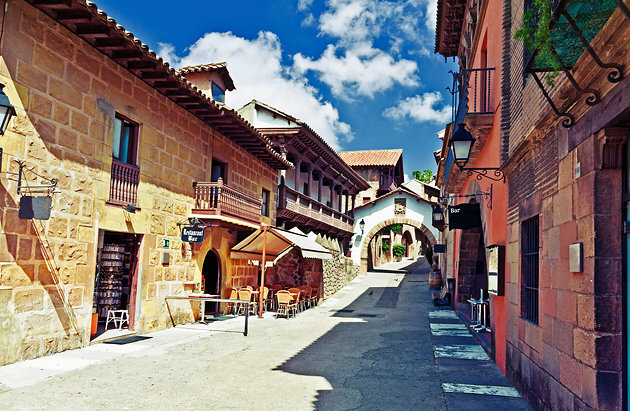 while unveiling the mysteries of el poble espanyol kids can walk around the ´´town´´ and get to know the most significant spanish monuments in one afternoon. additionally, on sunday a special programme for families is offered and even though it is in catelan, the experience is supposed to be nice due to the many visual aspects, including puppets, music and even magic. 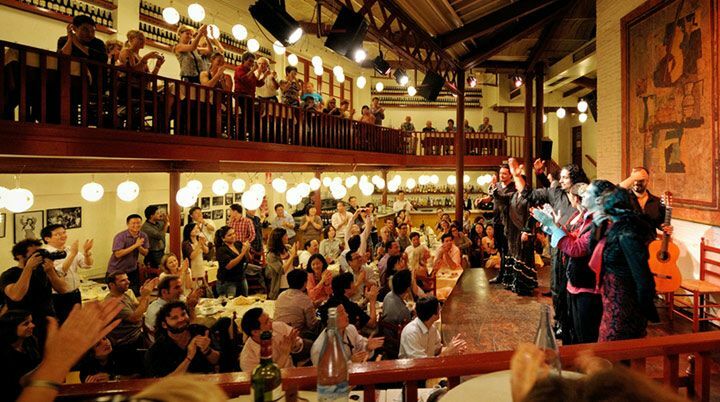 flamenco lovers can eat their heart out at tablao de carmen which is located in the andaluz area of the village because this type of dancing originally comes from the south of spain, from andalucia. some say that the best flamenco show in town is performed here so that would be another reason to make the trip uphill to enjoy music, dance and spanish songs. shows are performed two times a night, there is one show at 19.30pm and other one at 21.30pm. there is a possibility to enjoy some tapas while watching the show. finally, a ticket for this show includes a short visit to el poble espanyol so visitors can experience both attractions. as stated before there is something for everybody this statement also relates to the many options visitors have to eat out in the ´´village´´ because there are plenty of restaurants and bars. all restaurants offer a range of regional specialties in a very rustic admosphere. in summer visitors can sit outside on one terraces on plazas while eating a delicious paella accompanied by a glas of nice catalunian wine. then, to fully capture the spanish experience, there is a possibility to rent an audio guide, which is available in english, catalan, french, italian and german. walking around with the audio guide will make this visit a very informative one when walking around plaza mayor, the nerve center of poble espanyol, approaching a magical andalusian patio, visiting a typical spanish house, resting up in a “pazo gallego” (galician country house) or when discovering a catalan monastery. the bullfighting in spain is questioned since years, people saying that the act and killing of the bull should be forbidden and not be longer a part of spanish culutral activities. however when the event is taking place the entrance card are sold out quickly and banns thousands of people for some hours in the world of bullfighting with all his emotions. 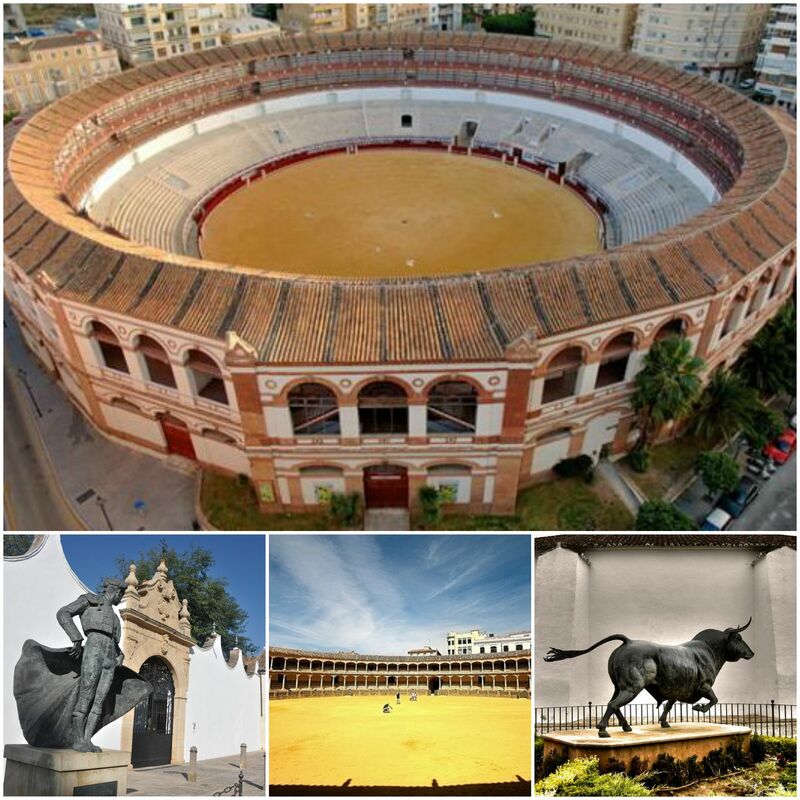 in this blog we will not focus so much in the history of it moreover we want to present famous bullrings as “the plaza de toros” in ronda, “plaza toros las ventas” in madrid and “plaza de toros de la maestranza” in sevilla. for sure there are a lot more rings all over spain, as almost every bigger city has his own bullring, but as the three “plazas” mentioned before are the most important ones in spain, we will have a closer look to them. but before presenting the three rings let me take you shortly through the history of the bullfighting in spain. the bullfighting in spain as we know today was created in the early 18th century from francisco romero, while the first ring was build in 1749.
one of the oldest plaza de toros in spain, younger and smaller than that at sevilla, but home to one of spain’s most famous ‘schools’ of bullfighting, is ronda. 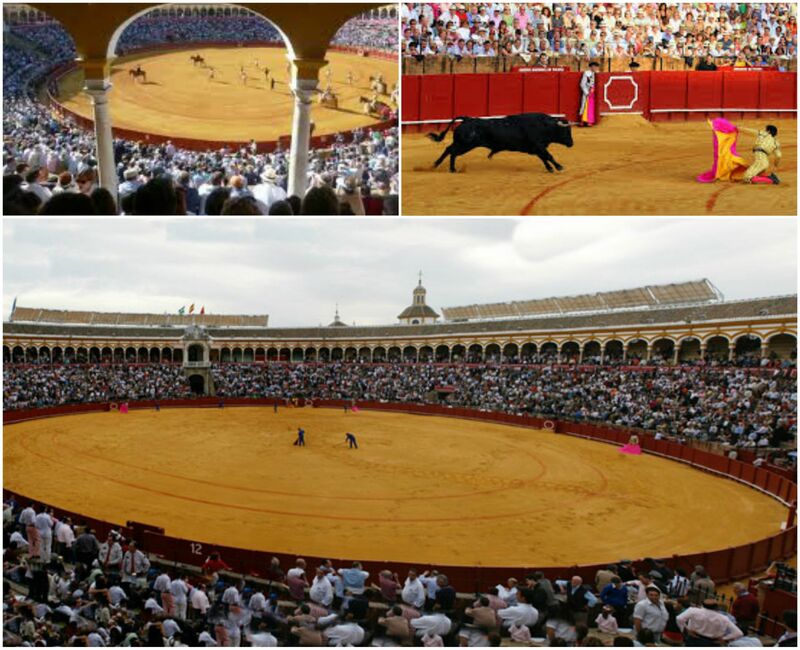 this city became the city of birth of the traditional bullfighting and the city of practice for the first toreros. torero is the definiton off all people participating during the act. otherwise there are novilleros, matadores, banderillero and picadores. however the main protagonist is the matador who is angering the bull with the “muleta“, the red cloth, and giving the bull the deathblow witht the sword. today the plaza de toros is a museum, open to tourists, and used only in the spectacular september goyesca bullfights, in which combatants dress in the manner of goya’s portraits of 18th century life in spain. this year the act will be performed the 6th of september. 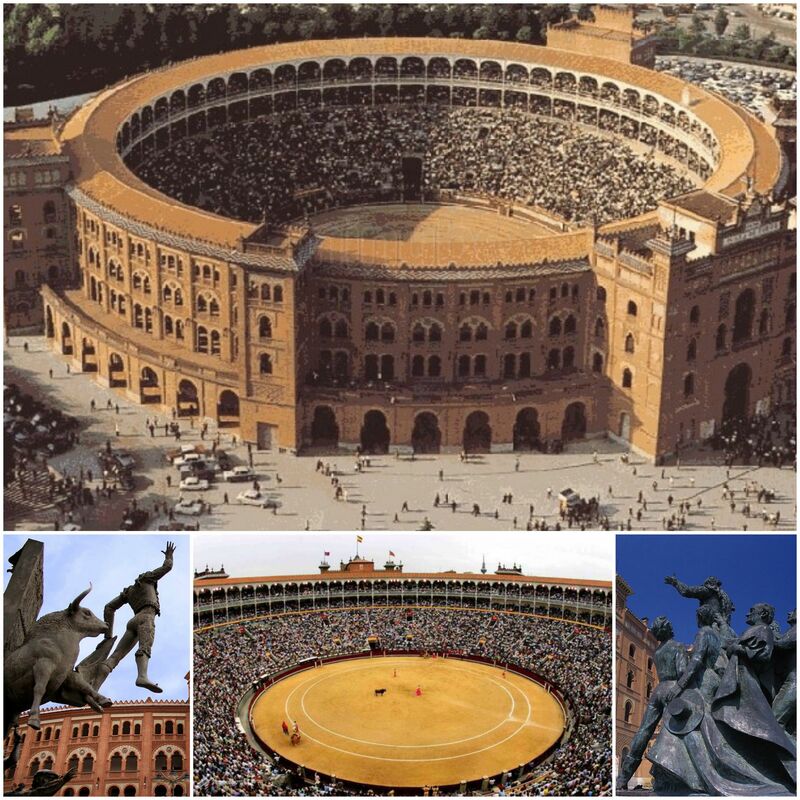 however the plaza de toros de las ventas in madrid became through the decades to one of the most important ring of bullfighting worldwide. the plaza was build up in 1929 and presents since then the bullfighting spectacle to their audience. the ring has a capacity of ca. 25.000 people, who can enjoy the fighting. the season of the bullfighting is from may til october, however the best time to experience this act is during the san isidro festival in may and june, where almost every day a bullfight is shown to the audience. apart of the bullfighting it is posible to visit the ring and his museum, a tour giving you the opportunity to learn more about the history of bullfighting and about the spanish passion for it. during the feria de abril, a week-long celebration of all things in seville, the season´s most prestigious fights are held. every afternoon, crowds pack the plaza de toros (under locals known as “the cathedral”) to see the “dance” between the matador and the bull. if the spectacle turns your stomach and is to much for you, you might like to visit only the museum and leave it at that. here you will find the chapel where the matadors pray, the hospital area in case of accidents, bull´s heads and matador´s costumes.